As of last week, Qantas e-tickets no longer state that passengers are required to print them. "Each passenger travelling needs a printed copy of this document for airport security checks." When my mother told me we had to print our plane tickets before going to the airport together I told her not to worry about it. I couldn't remember the last time I'd printed a domestic ticket, but as an infrequent flyer she had done what we all really should do and actually read her e-ticket properly. And sure enough, there at the top of the Qantas Domestic e-ticket were the words saying we'd need to bring a printed copy for security checks, Escape has reported. If you don't remember ever seeing those words, take a look at your last Qantas e-ticket and you'll be surprised. Unless you bought your domestic flight in the last few days that is, in which case you will see the updated version. Last week, Qantas changed the advice to read, "We recommend that you carry a printed copy of the e-ticket document or save this on your phone." Giving those of us who don't print the official nod to keep going about our business. But as I was to discover when I talked to friends and others in the travel industry, everyone has their own comfort level when it comes to the print or not to print debate. Some friends - including fellow travel writers - tell me they wouldn't think of going to any airport domestic or not without a printed copy of their ticket. Others say they stopped printing international as well as domestic tickets long ago. Is it really necessary to print out your plane ticket in this day and age? Personally I save paper on domestic but feel safer having a print out when a passport will be involved. That said I can count on two fingers the amount of times I've been asked to present one and both times it wasn't at check-in, but rather to show proof of a return ticket when entering a country. The first time, in Canada, I was able to present my printout. The second, in the UK, I was lucky I had phone battery and coverage so I could scroll through emails and find a digital version. 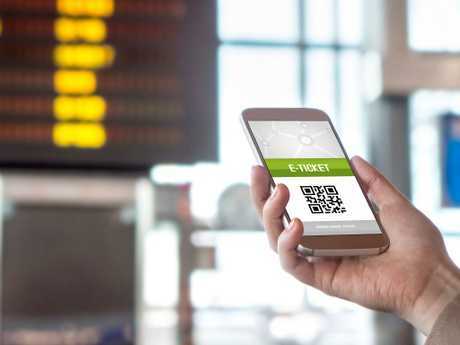 Electronic boarding passes take paperless at the airport one step further. 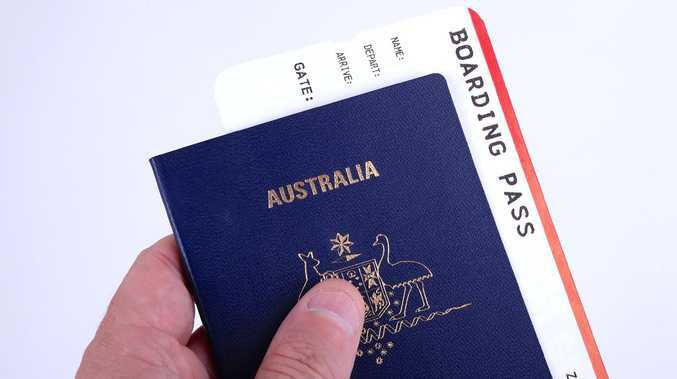 Scanning a boarding pass on your mobile phone isn't exactly new in our domestic airports, but in August airlines were given the power to issue electronic boarding passes for international flights departing Australia. Qantas, Emirates, Cathay Pacific, United Airlines and Singapore Airlines are already allowing guests to go digital all the way, although availability does vary depending on which international airport you're flying out of and what country you're flying into. Carry-on only passengers will be able to skip the check in and baggage counters entirely, saving time not only for themselves but also for those of us who would have been in the queue behind them. Somehow I think I'm going to need a little time to get used to this new way of flying out of the country. I think I'll ease into it by using the mobile boarding pass but only if I have a printed version there in my passport wallet. Just in case. And just as I told my own mother "you don't have to do that" I can feel early adopters rolling their eyes as they think the same thing about me.